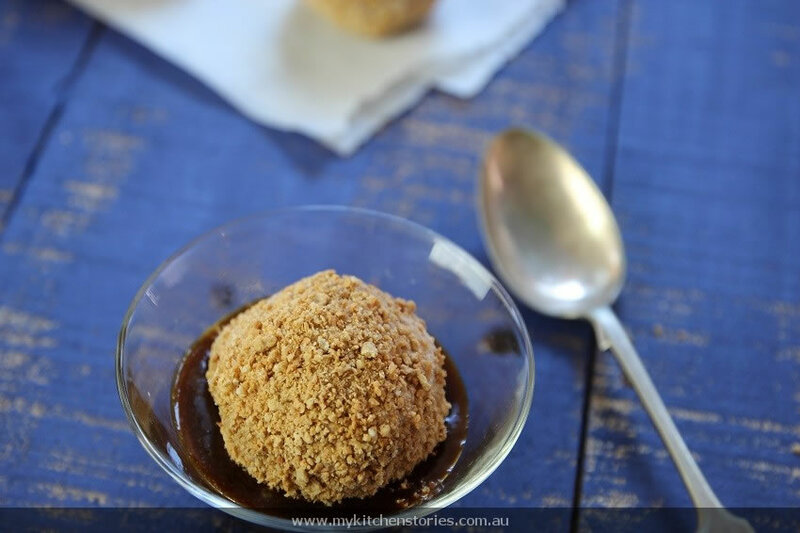 Unfried Ice Cream a new spin on a childhood treat!. .A classic from my childhood. Of course there was no such “unfried” version then. There is now so eat and enjoy…. When I was a kid living in Toongabbie, out where there were vegetable gardens and we were surrounded by Italians and Maltese there were few exotic things. Most of our neighbours kept traditional foods to themselves. We lived next door to our Nana, born and bred in Hull, England. She adhered strictly to her English roots. Our next door neighbours were Polish and spoke no English but in the houses across the road there lived an Italian caterer, who came and went with trucks and large trays of food that we imagined were probably exotic. On his other side was my friend Julianna whose parents were Ukrainian . Their kitchen always smelled of cabbage as far as I was concerned, this was a vegetable that was not welcome at our table. They made enormous pots of soup containing chicken and yes, cabbage, and a rich cake who’s ingredients included a pound of butter a pound of sugar and close enough to 2 pound of flour. There were big sugary fluffy fried doughnuts filled with jam and I was encouraged to eat. They had leather lounges and the chairs spun around. More than once we made ourselves sick taking turns to spin ourselves around. We jumped on the beds with crisp white sheets and big fluffy duck down doonas. We preferred her brother Jerry’s bedroom for this activity because he had a huge Queen size bed. There were no Chinese living around us. The only Chinese in town owned the Chinese restaurant. We never went to that one though, we always went “upmarket” to the Golden Dragon in the next town. ( about 20 minutes away). After ordering the same things each time ( Chicken Chow Mein, Fried rice, Sweet and Sour Pork and Beef in Black bean sauce), we were allowed fried ice cream. There was an unbearable wait for this and it came with strawberry syrup or chocolate sauce. 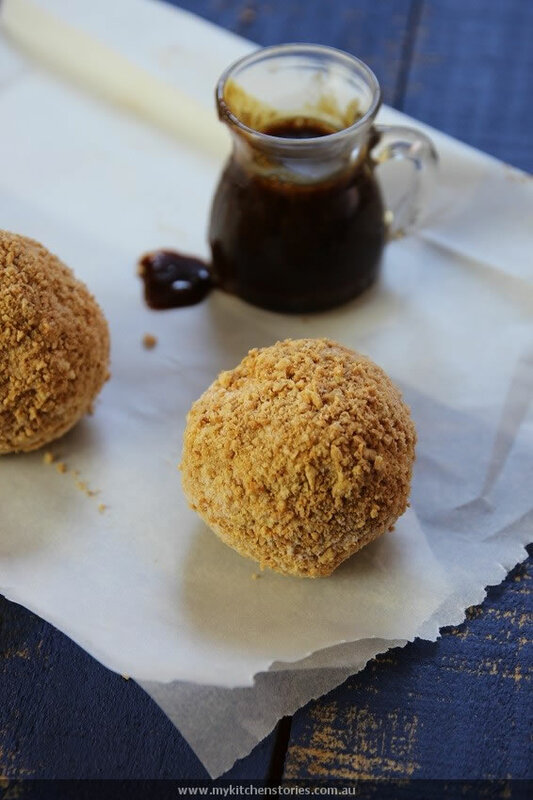 Here is a non fried and surprisingly good version of these childhood treats. I saw this on skinnytaste . Skater had a try with chocolate sauce and declared them the real deal. Unfortunately he wouldn’t eat more than one because they had touched a bit of caramel sauce!! 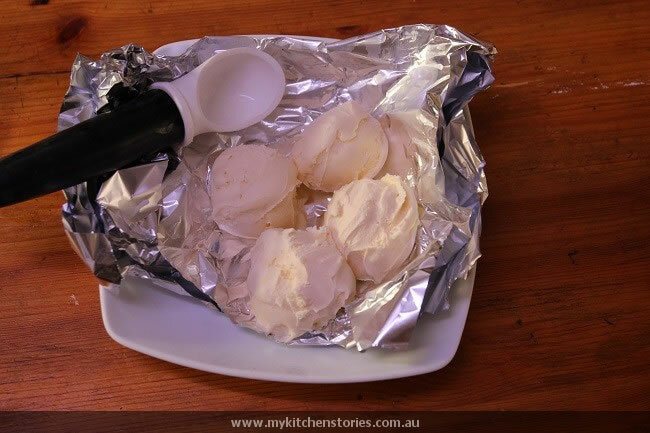 Soften the icecream slightly. 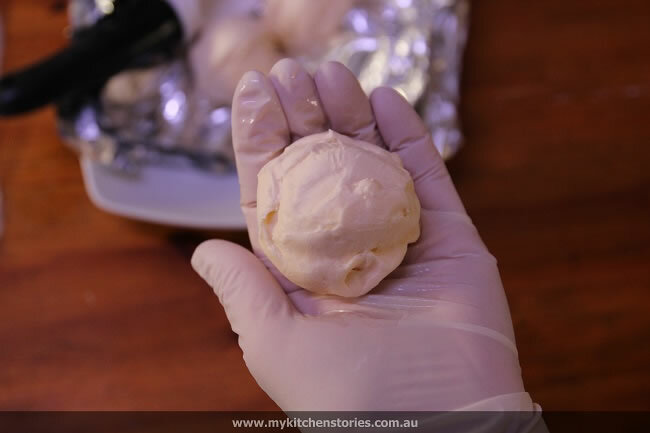 Using an ice cream scoop make as many round balls as possible and put onto a tray and freeze 1-3 hours is best. 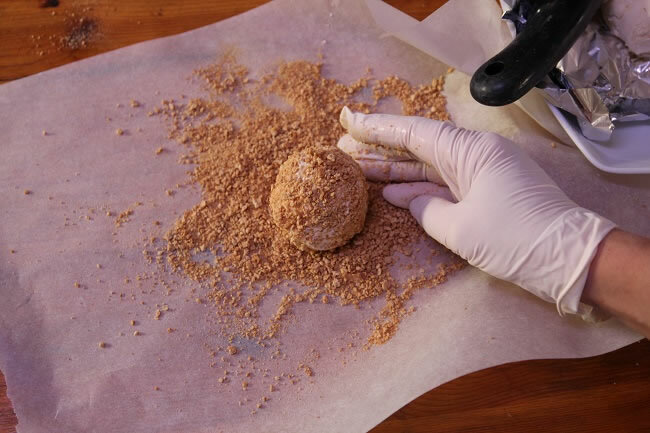 Roll the ice cream balls quickly in your hands to shape into lovely round balls. 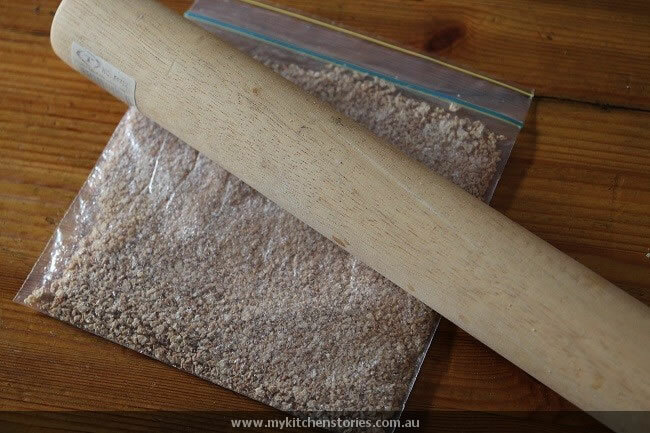 Gloves are good here.Roll each ball in cereal till coated and don't be stingy. 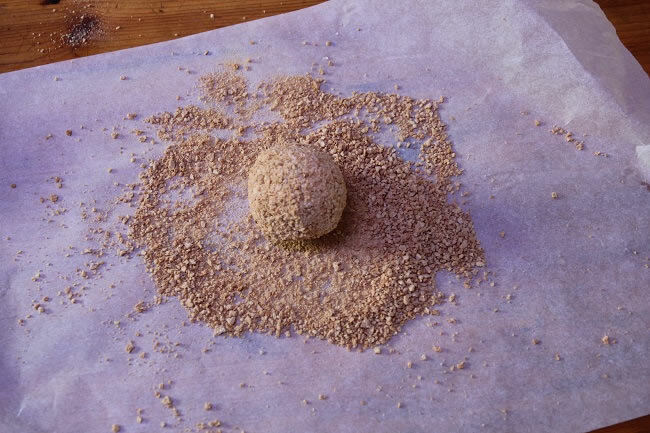 Pop each ball into the freezer as you have finished it. Ooh yum! Sounds like you had wonderful neighbours Tania. How funny that Skater wouldn’t touch the one with a skerrick of caramel. 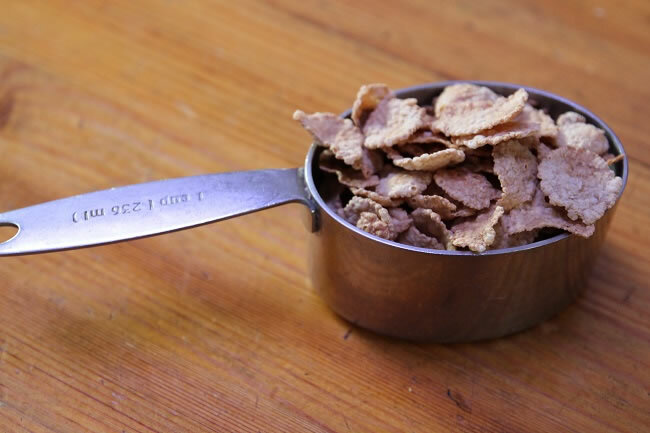 I like Karen’s comment that with cereal it’s a diet. 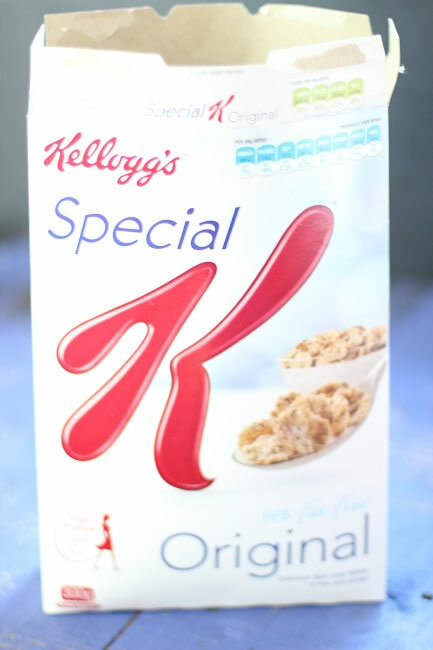 However, IF it’s got Special K on it, does that also mean that this would be great for breakfast? If so, I’m in! I loved the stories about growing up and I can see you in that swivel chair. 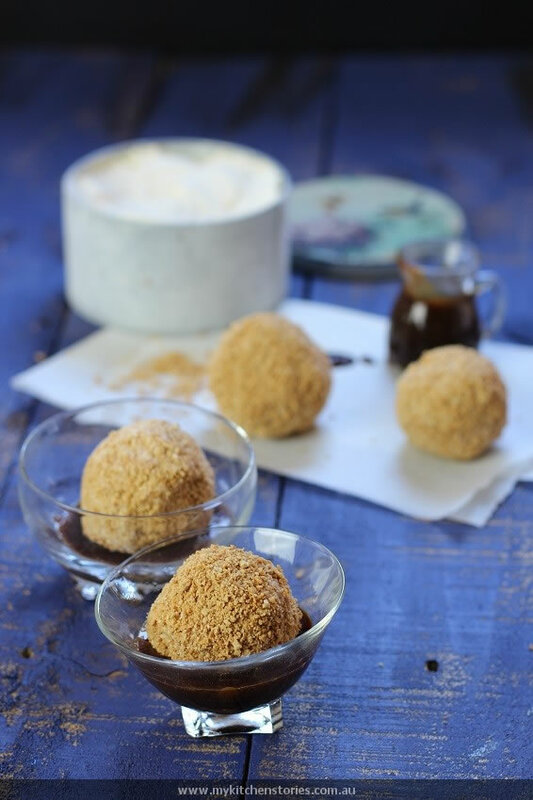 I like the idea of ice cream with a crispy coating but, I must admit, that sauce of yours sounds terrific! I really must give both a try. Thanks for sharing, Tania. G’day! Brings back LOTS of childhood memories for me too! To this day is almost only the dessert I order when am at a Chinese restaurant, TRUE! This is a keeper, Tania. 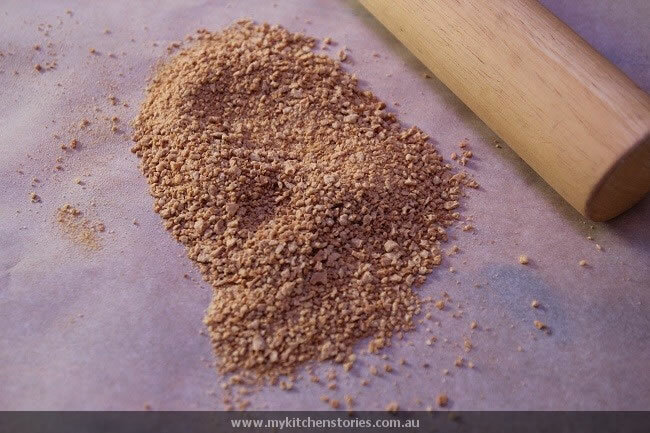 I love the idea of using special K instead of breadcrumb for the coating. Ooh this is such a good idea. And as for that caramel, it sounds HEAVENLY. On my ‘to make’ list! I love how detailed your descriptions and instructions are! Now I have the confidence to actually try it, thanks! this is pure evil. It’s 1am and I’m desperately craving something sweet and this is ticking all the boxes, I have cereal and icecream!! 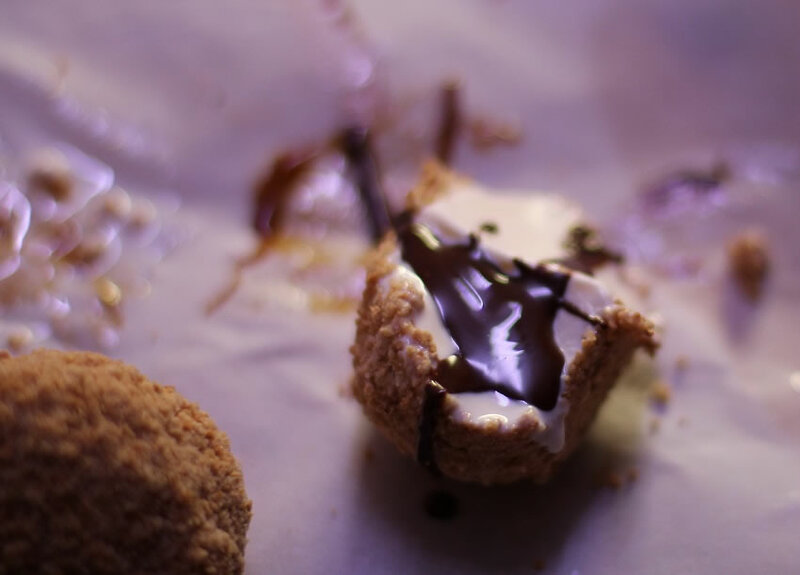 Now the dilemma: go to bed and sleep it off or make this delicious concoxion…. 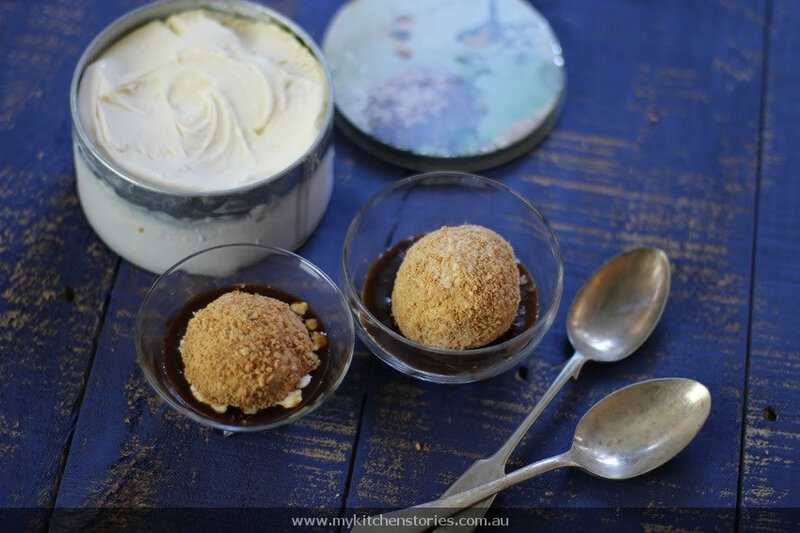 I don’t think I’ve ever had fried ice cream but this certainly looks great to me! 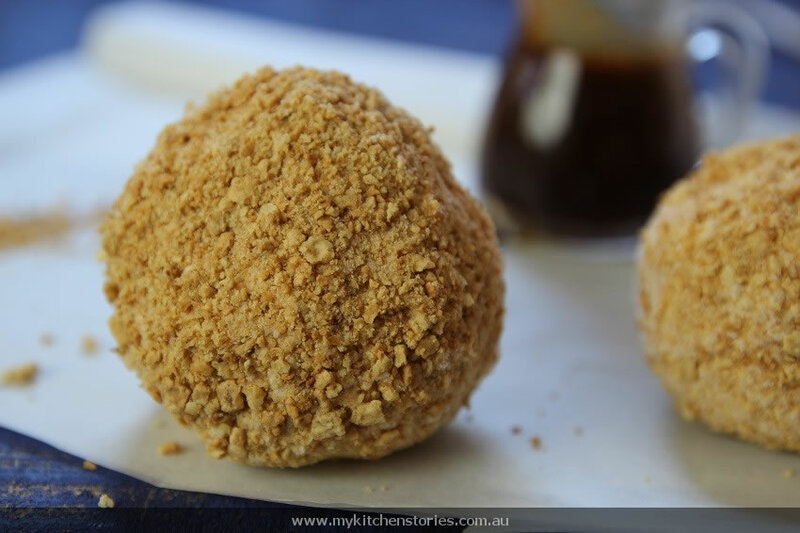 I LOVE fried ice cream…but I would happily eat this unfried version also! I was introduced to this ice cream when my family moved to the US. 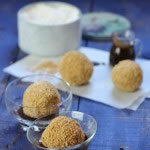 The place we ate at called it Mexican fried ice cream, which was a surprise to us never having encountered it in Mexio. Anywho, I do love it and now I can make this unfried version much easier. Thanks so much for sharing Tania! 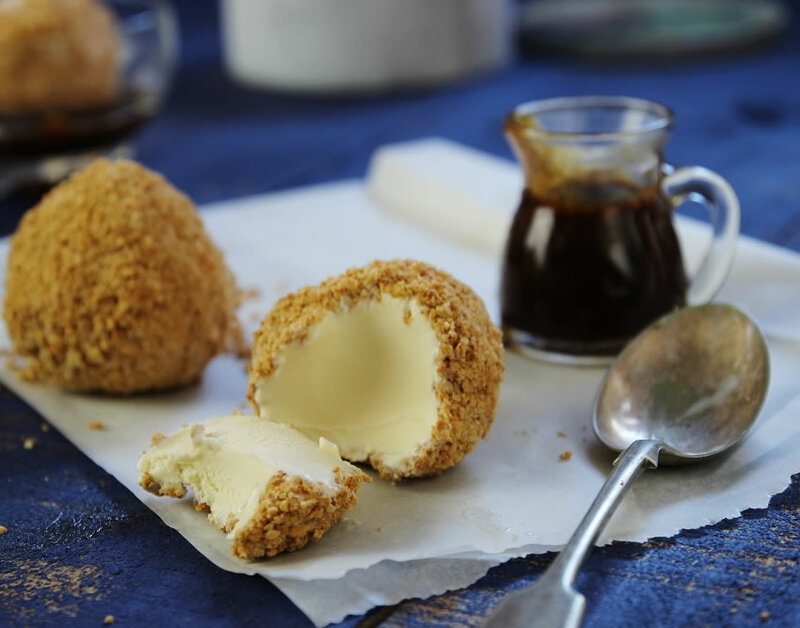 I love fried ice cream! But this looks a wonderful less fried version!